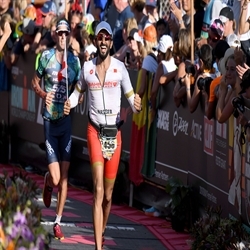 After finishing third on debut in 2014, Jan executed a clinical performance to win his first title in Kona. 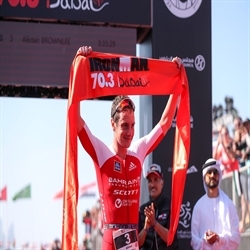 Jan Frodeno owns the distinction of being the only athlete in the world to have won the Olympic gold medal, the Ironman 70.3 World Championship, and the Ironman World Championship. 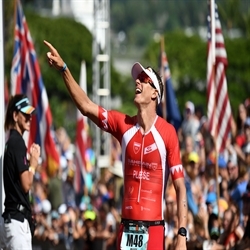 He is also only one of five men to have defended the Ironman World Championship title, winning both in 2015 and 2016. In 2016, Jan set a new world record for the fastest iron distance finish: 7 hours, 35 minutes, 39 seconds at the Challenge Roth, smashing the previous record by six minutes. 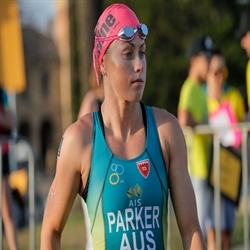 When he outsprinted Olympic champion Simon Whitfield to win the gold medal at the 2008 Olympics in Beijing, he caused one of the biggest upsets in triathlon history. 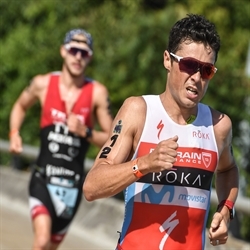 After racing one more Olympics at London in 2012, Jan transitioned to ironman racing and quickly established himself as a force to be reckoned with as he blended his top-end speed with gritty endurance. 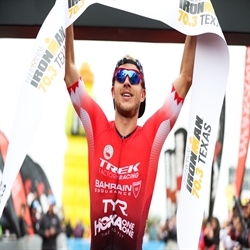 In 2015, Jan went to work dominating every race he entered, a seemingly unstoppable force as he claimed first the Ironman European Championship, then the Ironman 70.3 World Championship. 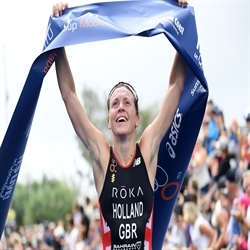 The ultimate goal was the leafy crown at Kona, and on one fateful Saturday in October, Jan made history as the first athlete ever to have won both an Olympic gold medal and the Ironman World Championship. Jan was born in Cologne, Germany but grew up in Cape Town, South Africa. With his background in swimming and surfing he joined the Clifton Surf Lifesavers and competed in lifesaver races. 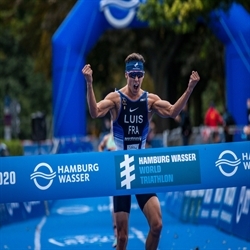 He discovered triathlon at the age of 19 while watching the Sydney Olympics, and after competing in a few triathlons sold his racing bike for a plane ticket to Europe to race in the German triathlon league. His success at the Under-23 World Championships in 2003 and 2004 spurred him to turn professional. He has since shown himself the cream of the crop in the sport across all distances.